Natural Cleaners | Swansea, ILWe have a new 800 number, but you can still call us at 618-234-2915 if you prefer. 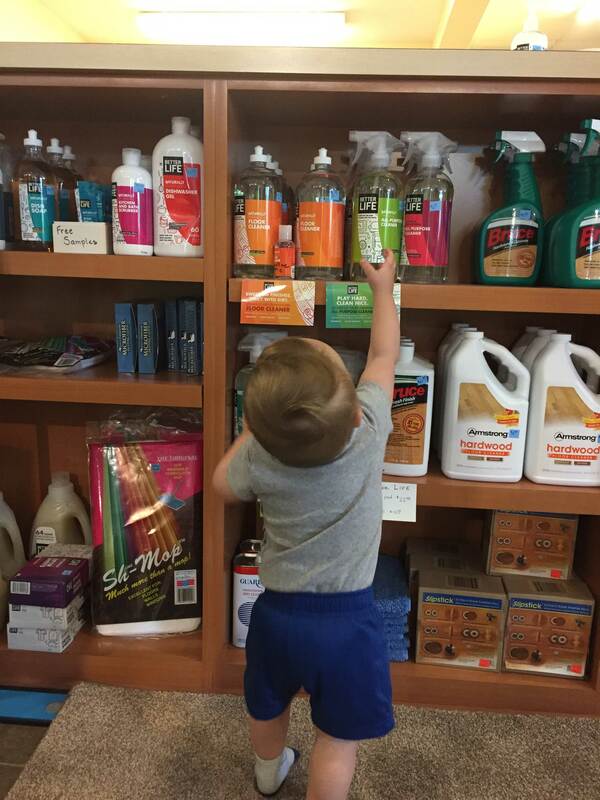 Maintain your commitment to greener living and protect your pets and kids from harsh chemicals when you purchase our natural cleaners in Swansea, IL. Collins & Sons Flooring America is a locally-owned-and-operated flooring store and so much more. We help the modern homeowner live a cleaner and greener life as an authorized retailer for Better Life soaps and cleaners. Managing a home filled with growing kids and active pets can quickly become overwhelming when the time comes to clean the floors and other surfaces. Better Life offers a full line of cleaners. These products were formulated with plant-based ingredients that are environmentally friendly and effective. A cleaner home is a healthier place to live. Our vinyl flooring options and cleaning products put you in control of your home. Improve the air quality and let your kids crawl on the floors again when you use cleaning products that get the job done without the shortcuts others use. When you partner with a forward-thinking company that offers products for green living, your family will thank you. Too many people believe that natural cleaning products crafted from plant-based materials are a poor substitute for the traditional cleaners filled with ammonia and chlorine. They believe the only way to get clean hands involves alcohol and dried skin. Better Life offers families an alternative that is safe for both kids and pets. As more and more families commit to a greener way of life, our flooring store has continually evolved to meet our customers’ demands. Before you welcome another member into your family, replace the floors in the baby’s room and keep them clean with a nursery cleaner in lavender and chamomile fragrance. Today’s interconnected world is filled with screens and tablets that are often covered in germs and bacteria. Before you allow your toddler to start playing a game on your phone or another touchscreen device, wipe it down with a screen cleaner that has no harsh chemicals that can hurt children or pets. Talk with our design specialists and identify a flooring product that fits your way of life. Once your home has been decorated, keep it clean with natural products that smell great. Contact us today for natural cleaners that make your home a safer place for kids and pets. We proudly serve customers in Swansea, Belleville, Fairview Heights, Waterloo, Collinsville, Illinois, and the surrounding communities.